I made a card and an ATC for a friend for her birthday : ) We are both in a group at RubberStampChat where we send an ATC to others on their Birthday- and we can also send a card. 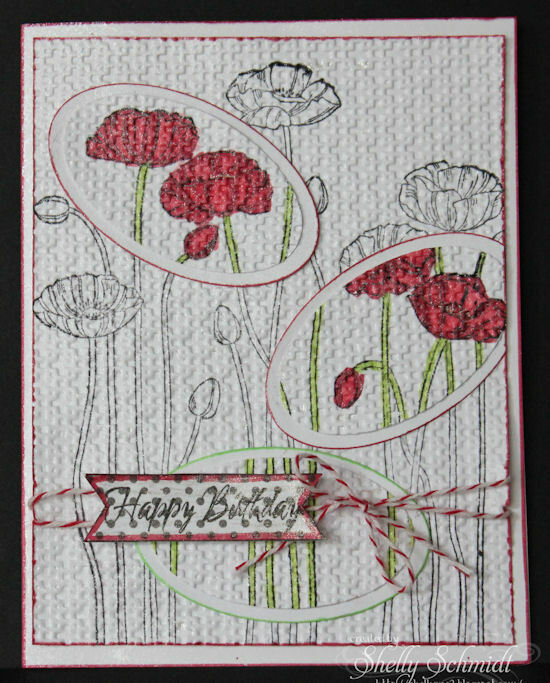 I used a SU set called Pleasant Poppies. 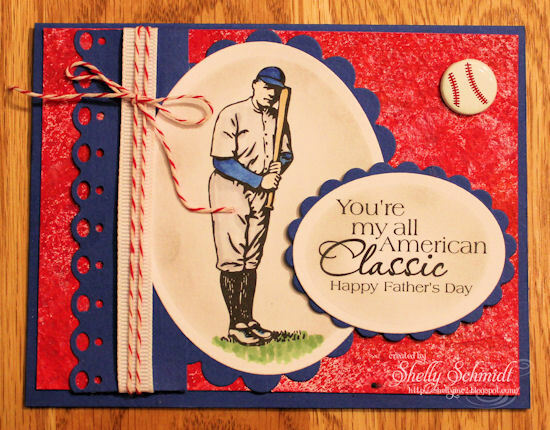 I stamped the image, then cut out three ovals, then ran the entire set thru the Bigshot and embossed it. I cut out a plain white oval the next biggest die size, outlined it in colors to match. 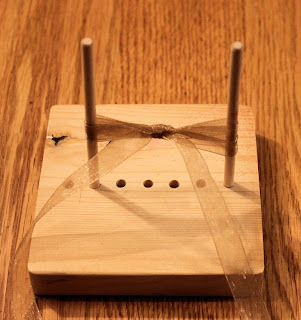 I finished off the card with twine and a sentiment from Create with TLC. For the ATC, I used a Glue Distress background- love the color of the Distress ink with the Poppies. I dabbed dots of Elmers glue and let them dry, then added Distress ink over that. I stamped the image again, and cut out flowers, as I did not like the look of all of the flowers dotted (from the background technique). I colored the flowers with Copics. The sentiment is shimmery...and again, from Create with TLC. I was looking for just the 'right' ribbon last night, and I decided it would be a good time to thin out my stash- by offering some CANDY. I have an extra one...... 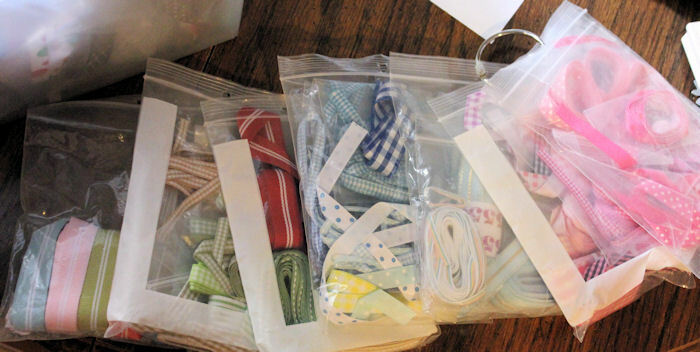 So I am offering a bow maker and 50 yards of various ribbons in different sizes. -I will pick a winner by Random. org on July 3rd in the evening. 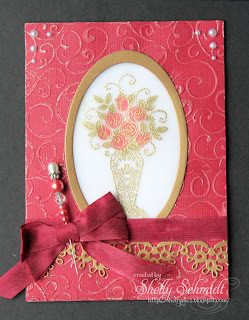 The Sweet Stamps Challenge this week is Roses. I had such a terrible time taking a picture of this card- the gold shimmer from the Sakura Gelly roll pen (on the embossing) reflects and makes it look orangy.....the Coordinations cardstock is Scarlet Red. The image is stamped on Parchment Vellum and embossed in Gold Sparkle Embossing Powder. The roses are colored with Shades die inks (Spots) in Valentine and Envy from the back side of the vellum using a bender pen. I used a beautiful Gold shimmery cardstock from Paper Temptress and cut out a frame using the Nellie Snellen ovals. (I used the largest die and the 3rd largest die- cut them out with the smaller die nestled inside the largest to create the frame). 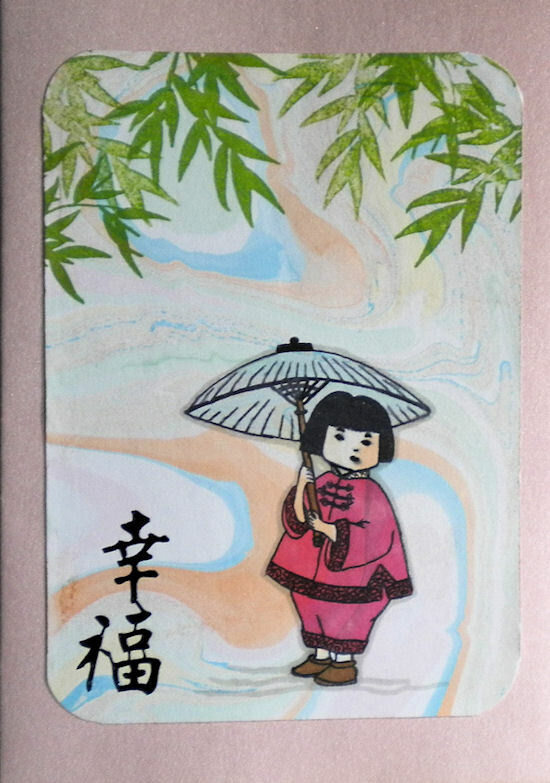 I embossed and Swirls EF and sanded it, then added sparkle with the Sakura Gel pen. I used Copic R37 to color Rose Red seam tape to coordinate, and used another of the fabulous Pinque Peacock decorative Pins. 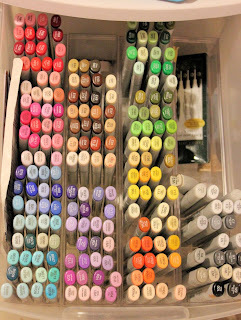 What supplies do you have- had to get it and then never used it??? 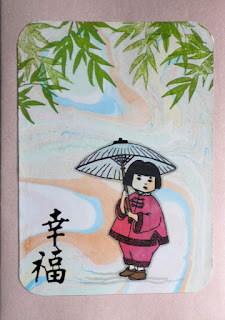 I joined a challenge at Oriental Stamp Art (the Yahoo Group) to make a card using a technique called- Suminagashi. 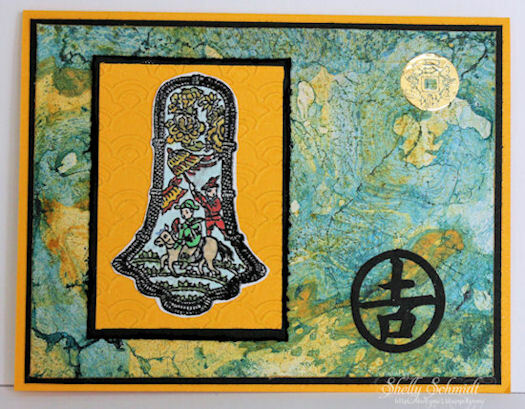 I LOVE this image called Chinese Medallion from About Art Accents- it reminds me of the little scenes painted on the (very extensive) covered walkway at the Summer Palace in Beijing. The culture of China is so wrapped up in the 'old' traditions and stories of 'ole- and the walkway is loaded with pictures from many 'tales' or old stories. Here is a boy out playing and a servant fanning him in what looks like a rice field......... The Kanji is a punch. 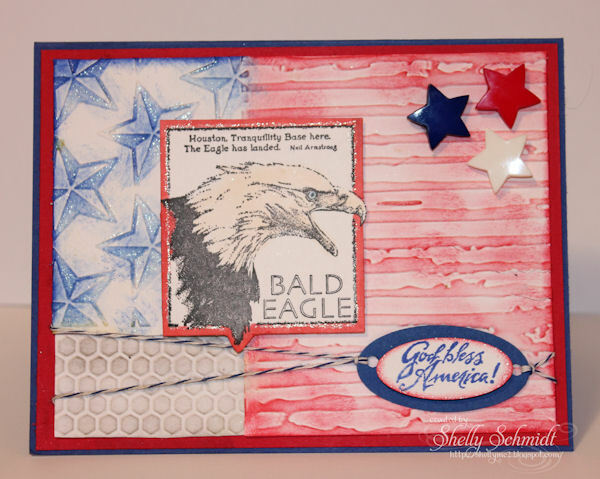 I am not sure of the technique Carol used, but love the sweet image she used! 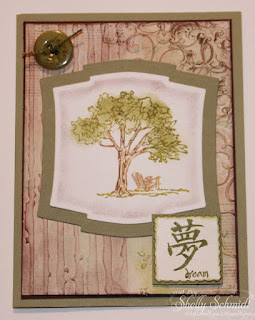 When I looked at the wood grain embossing I did on the last card, I thought....R/W/B!!! I love it! The image is from Coronado Island Stamps, and the sentiment retired SU. Nothing says I love the USA better than an Eagle and God Bless America!!! I have a Give Away for a Technique Junkies Shape It CD from the Sweet Stamps and Pinque Peacock Blog Hop. Wow! What a fantastic card! I love this style, have to go check it out. Your papers are perfect for this image. Love the coloring and papers to. Beautiful job! I made a card using a Repeat Impressions image- Oh, doesn't this look inviting? 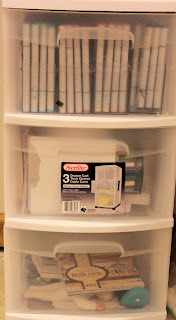 I just need a good book to read...or maybe a laptop to browse Pintrest......The image is colored in with markers and I huffed to make sure all of the ink was moist, then stamped it onto the white cardstock. 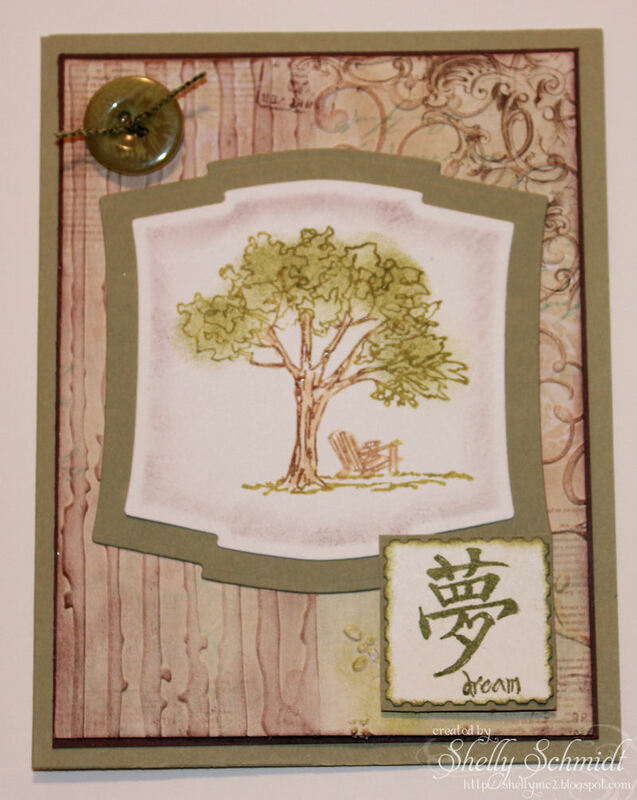 I used a dauber to add greenery to the leaves and a Copic to add brown to the tree trunk and branches.I added Kanji that says Dream..... The DP is Bo Bunny and it is highlighted in browns and greens. 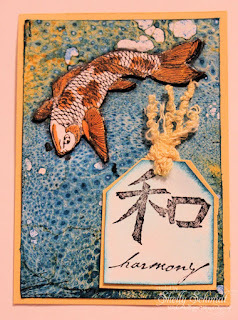 The Technique Junkies have a Technique of the week, and this week it is the Triple Embossing Technique - it is always so awesome to see what others create! 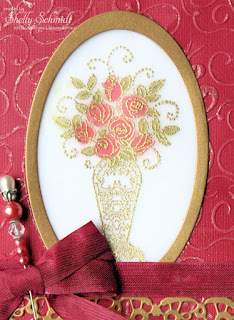 Triple Embossing is a technique we learned from the latest newsletter. 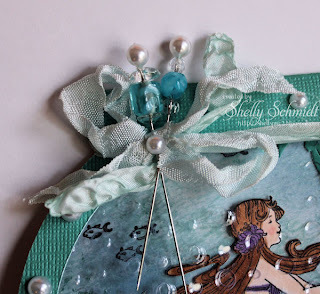 Here is a link for the Technique Junkies Design Team Blog- where you can see samples of the Technique of the week. I wanted to post the links for Day Two of the Blog Hop. 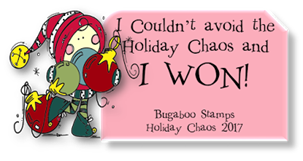 This week at Sweet Stamps our Challenge is Anything Goes! 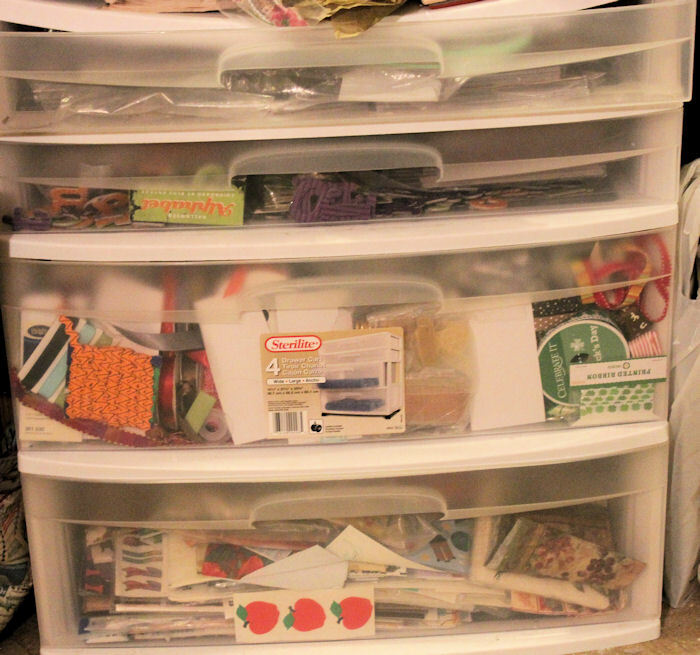 You already know Sweet Stamps is like a candy store filled with Papercrafting goodies. Let me tell you a little bit about Pinque Peacock Shop. The shop was launched last October, and is full of goodies like Beaded Stick Pins, Fabric Covered Buttons, and Handmade Fabric Flowers. Speaking of Goodies- both stores are offering Prizes! Sweet Stamps is offering a $20.00 spending spree to one lucky hopper (hop on over to the Anything Goes challenge) and Pinque Peacock is offering a NEW 'Nana's Pillowcase' Product Bundle (including Fabric Covered Buttons, Fabric Flowers, and coordinating Stick Pins). 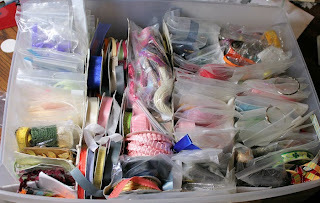 If you did not arrive here from Jessie's Blog, then you will want to go back to Kendra's Blog- which is stop 1 of 15 for this hop. Also, tomorrow's hop lineup will be posted on the main blogs - please visit for all of the direct links (for both days). OK- on to my project! I made this card for a neighbor that was Ariel in The Little Mermaid play- she did an amazing job! 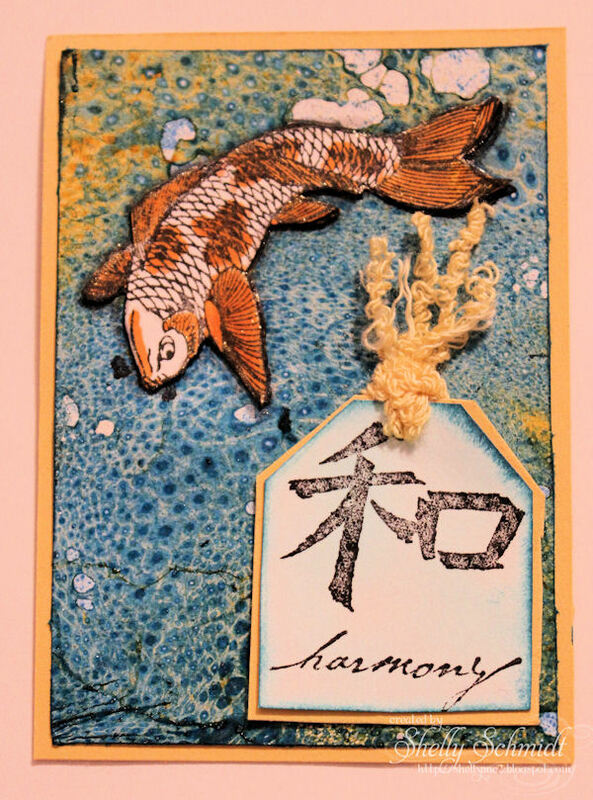 This is called a fishbowl card, and as I mentioned, the directions are from the "Shape It" CD from Technique Junkies. 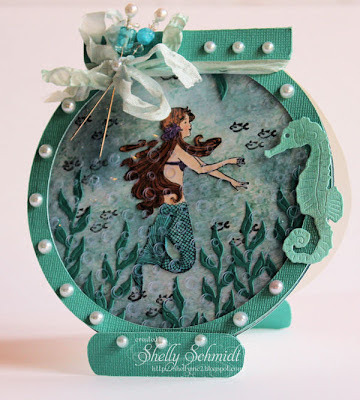 There is a layer of embossed acrylic in front of the mermaid. I colored the Mermaid with Copic Markers- she is cut out and adhered to the acrylic layer inside. I used Shades Die inks (spots Reflecting Pool and Tidal Wave) DTP on the background, and then added Sea Foam Creative Inspirations Paint dabbed on lightly over that. The seahorse die cut also has Sea Foam CI paint over the top. Roxie on the Sweet Stamps DT recently told us about putting heat on ribbon to crinkle it, so I gave that a go- and added my beautiful Decorative Pins by Pinque Peacock to the center of the bow. Thanks for dropping by today- I hope you enjoyed all of the projects from both of the teams! Again, here are the links to both of the stores- and the Facebook links as well. 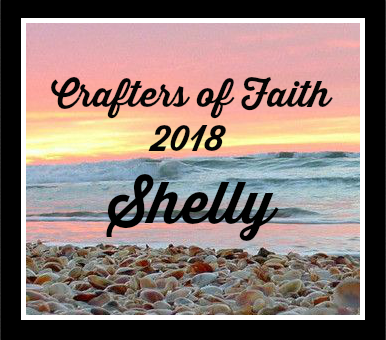 If you want to stay up to date on all the latest and greatest things happening at Pinque Peacock and at Sweet Stamps, be our latest FANS! I found a fabulous digi that was perfect for my husband's Fathers Day card at Create with TLC. I paired the image with a background from the Technique Junkies called Colorwash Alcohol. I colored the image lightly with Copics (and we are in the Chicago Cubs territory......) and used Red and Brilliant Blue colors with a splash of white. I sponged Gray ink on the image and sentiment. My husband plays baseball on an over 50's league. 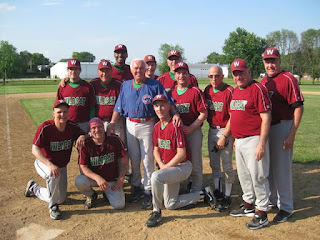 The team played on Saturday, and he had a huge thrill- Randy Hundley came- he was the catcher for the Chicago Cubs in the late 60's and in the 70's. My husband- Ray- is just below and to the Right of Randy- kneeling. They had an exciting game- and Mr Hundley was the coach for the day- they pulled out a win from behind at the end of the game! 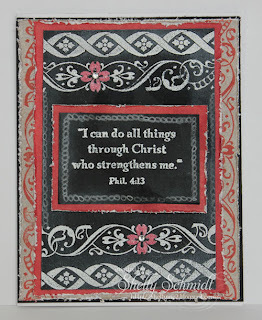 613 Avenue Create- Anything Goes- option "Something Special for a Male"
The Sweet Stamps Challenge this Month is Chalkboard Stamping. From the April/May 2013 Technique Junkies newsletter, I used the Chalkboard Stamping technique to make a card and a tag. I love the look of the Chalkboard technique against the black background. 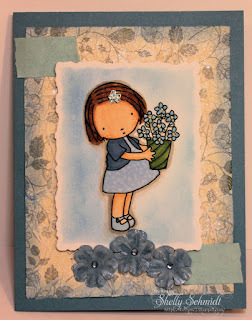 I used Authentique DP and Creative Inspirations Paint on the flower. 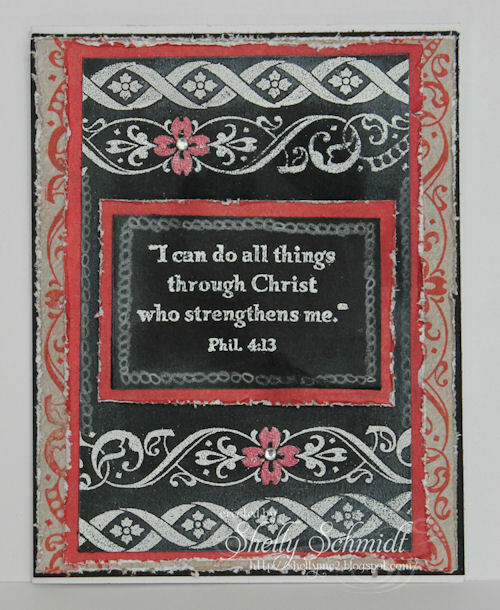 The background image was stamped on DP in Paprika Shades die ink. 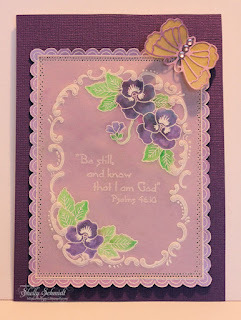 I repeated the exact same stamping, only I used the SweetCuts flower die and added it to the top of the tag- punching a hole in its center for my fiber. The top layer has CI paint on it for shimmer. I sure hope you will come join us for the challenge- it runs for an entire month- from 6/15 thru 7/14- so you have plenty of time to join us. I hope you will join in the challenge! You can enter once and you have a chance of winning a Technique Junkies CD, and if you use a Sweet Stamps image- you will receive an additional chance to win! The winner is chosen by Random.org- so everyone has a chance to win! 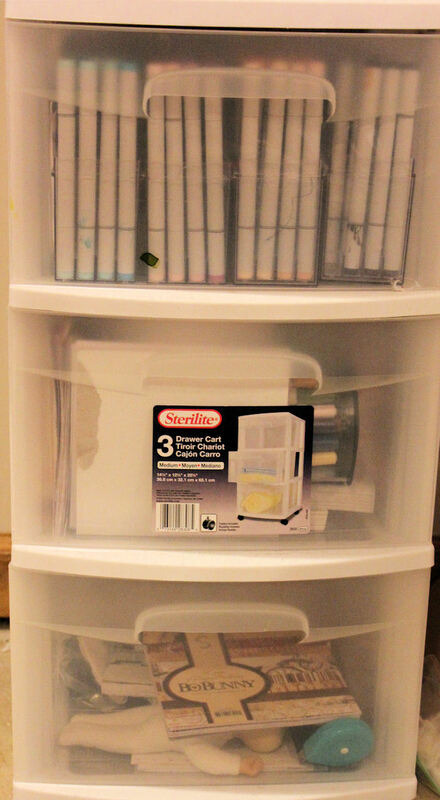 Each Cd contains between 70 and 100 tutorials in step-by-step pictorial format. They each cover a year of content, plus 10 bonus techniques only available on the CD. They are a steal at this price! Hurry, though -- this sales ends June 30th. 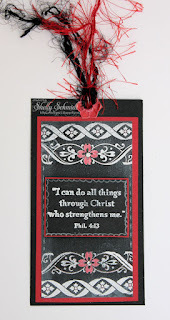 The Sweet Stamps Challenge this week is Parchment. 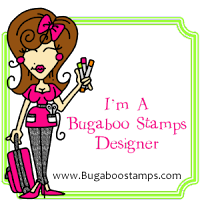 I know you know my story about meeting Sweet Stamps- it was the demo that Stacey was doing on Parchment that drew me in...I thought, I'll stop back....and I DID come back! So glad I did- I love the look of the beautiful Parchment images on the Parchment Vellum! I stamped in the Parchment White Die ink and embossed in Detail White EP. 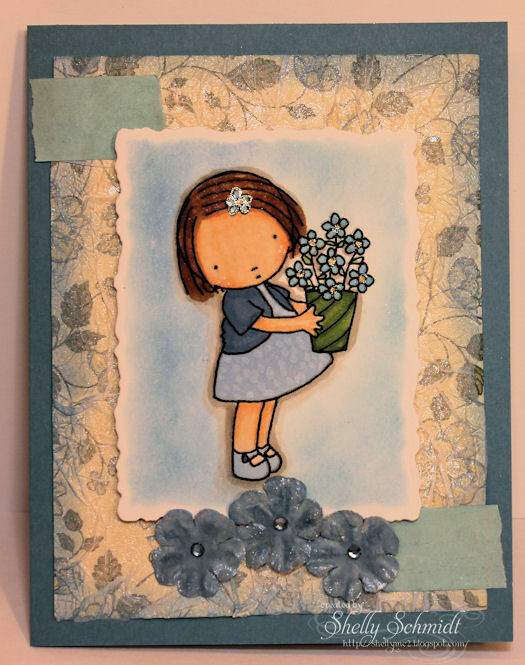 I colored the flowers from the back with Shades Die inks- yep- I dabbed the spots on an acrylic block and used the aqua painter to apply the colors. 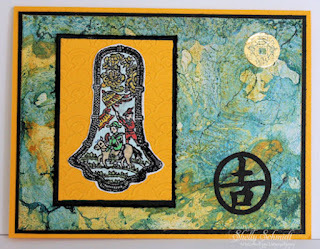 The Flourishy edging-part of the stamp- was embossed from behind using the middle sized tool on a mat. The vellum was trimmed along the outside line of the image and was adhered to the shimmery Purple cardstock from Paper Temptress with Spray Adhesive. I hand cut around all of the scalloped edges- I love the way it looks like fine lace : ) I used the piercing mat and intended on piercing the outside part of the vellum, but liked the way just a border of piercing looked- what do you think? 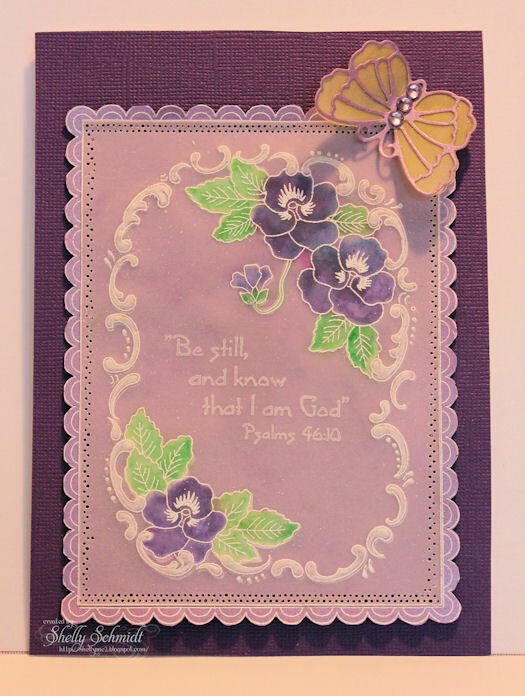 The Butterfly is cut from a SweetsDie and the base layer is vellum with Yellow- painted on with Dandelion ink and the Aqua Painter. 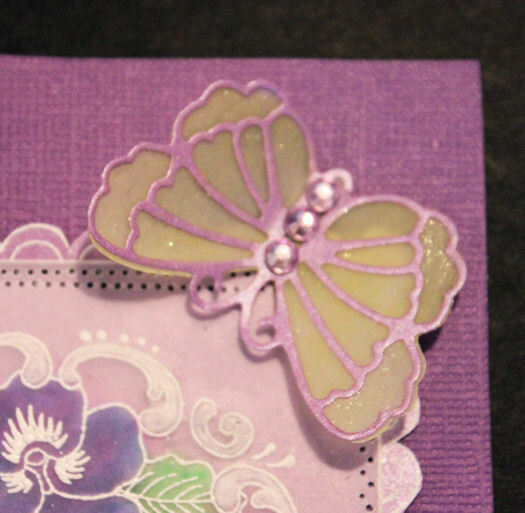 The top layer is the shimmery purple cardstock again. I added some rhinestones (colored with a Copic marker) to the center of the butterfly and added Sakura Gelly Roll pen to the vellum for more sparkle. 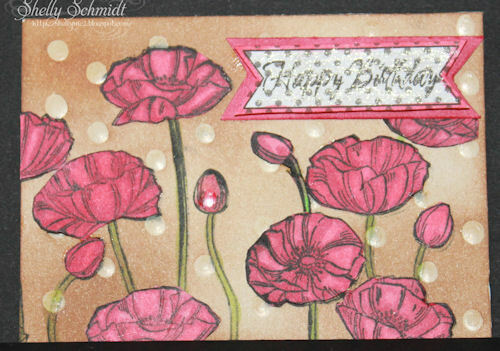 I used Stampin Up cardstock and Designer Paper (retired). 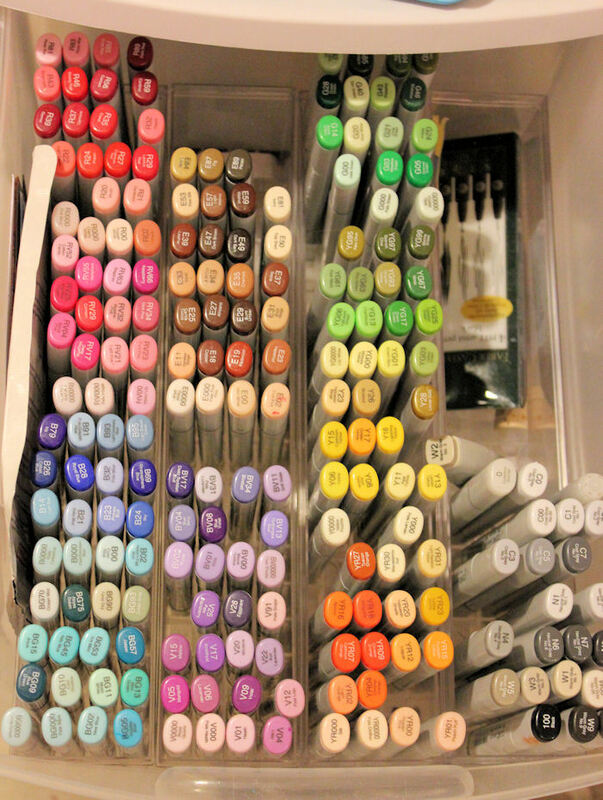 I colored the image with Copics and added some Sakura Gelly Roll pen for shimmer. The flowers are also colored with Copics- as is the Washi Paper I added. I thought the rhinestones also needed color, so touched them up with a Copic marker as well. The Sweet Stamps Challenge this week is Dad. Oh this image screamed -Reflection to me.....! 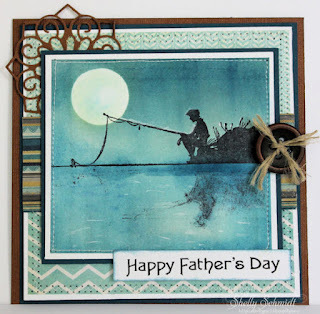 After stamping the image in black, I added color by brayering and sponging on the blue inks. I added a touch of depth to the water with a White Paint Pen and white stitching around the border of the card.